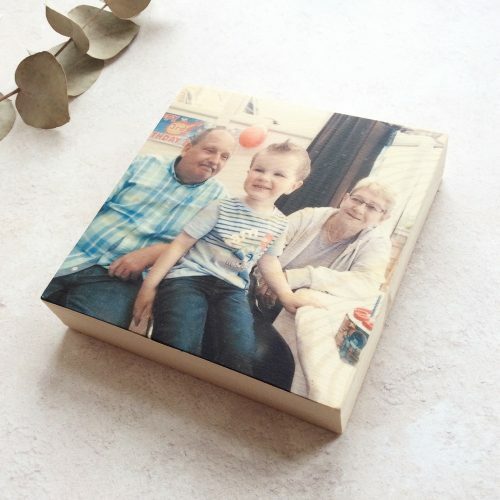 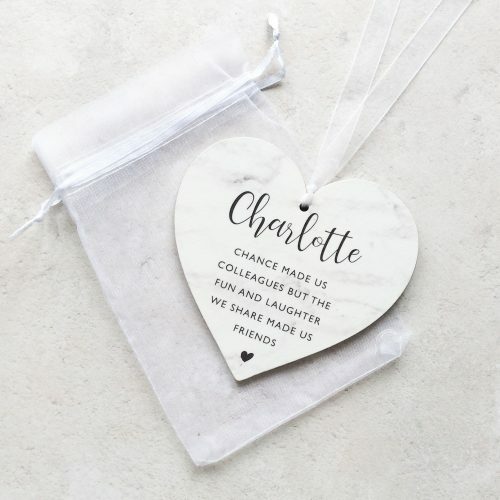 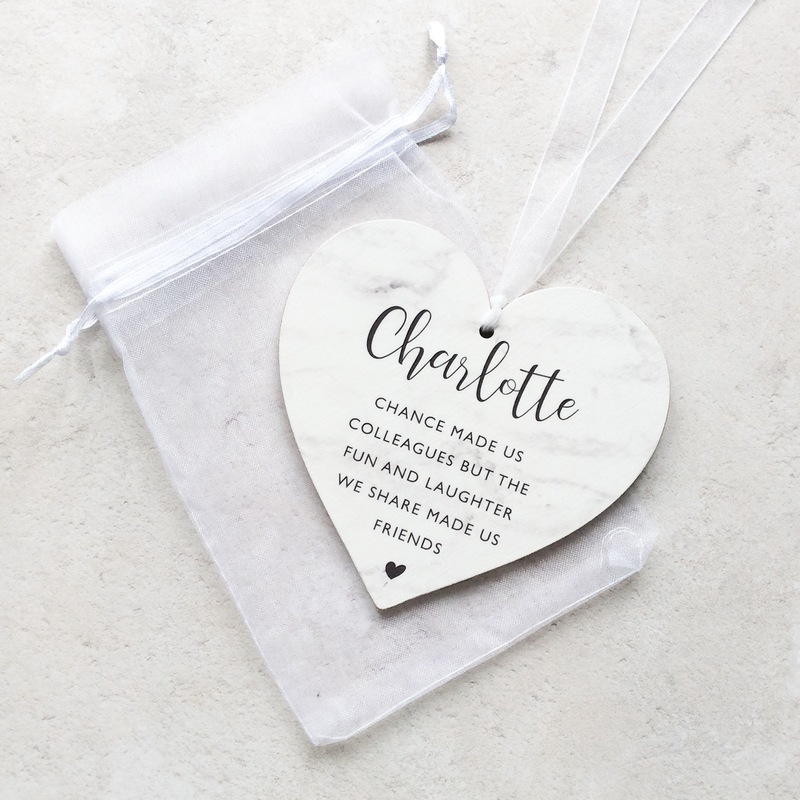 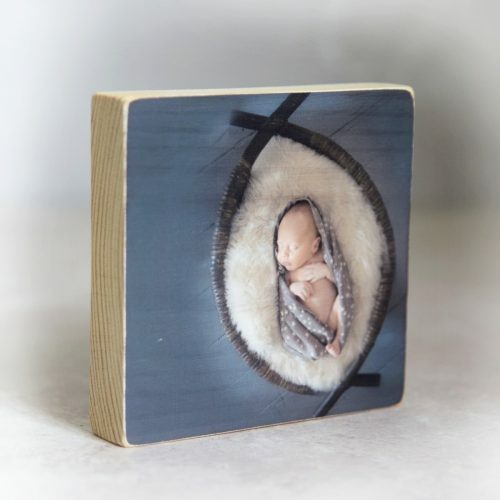 Chance made us Colleagues wooden heart plaque with marble effect design. 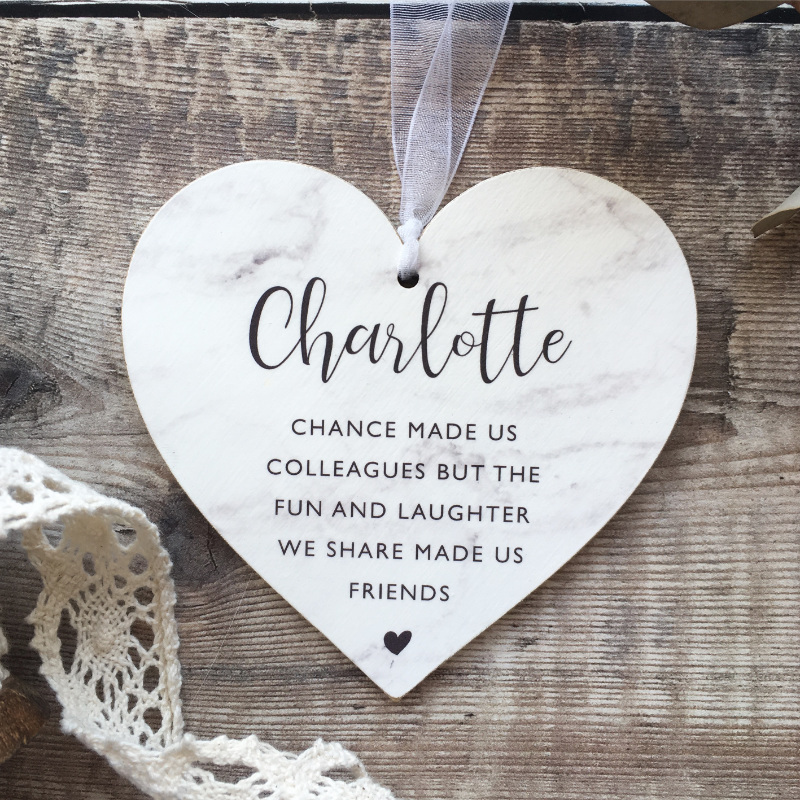 A beautiful handcrafted wooden heart reading ‘Chance made us colleagues, but the fun and laughter we share made us friends’. 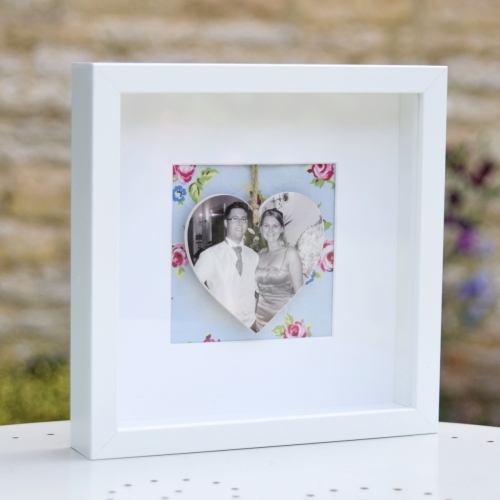 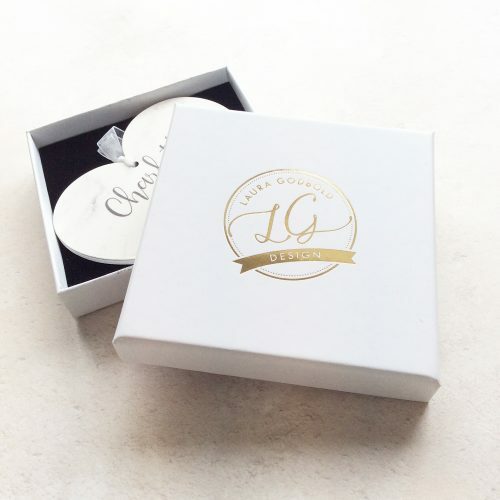 Each wooden heart measures 10cm, finished with organza ribbon.